Our expertise team has delivered outstanding API development services few are listed below. Payment Gateways: PayPal API, Google Checkout API, Moneymakers API, 2Checkout API. Geolocation Services: Google Maps API, Google Earth API, AOL MapQuest API, Bing Maps API. RESTful API is often used in mobile applications, social networking websites, mashup tools, and automated business processes. 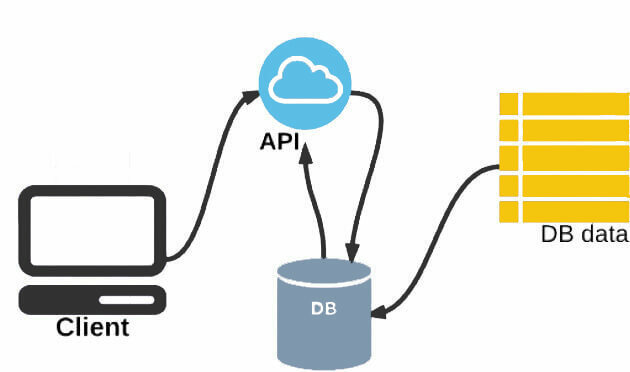 Advantages of RESTful API development are listed below-RESTful applications are easy to leverage by most tools, including those that are inexpensive and free.It is a better choice for Web-scale applications, and certainly for cloud-based platforms. REST is often chosen as the architecture for services that are exposed via the Internet (like Facebook, Twitter and most public cloud providers).